Police are searching for this suspect accused of stealing a package from Campbell porch (September 14, 2016). 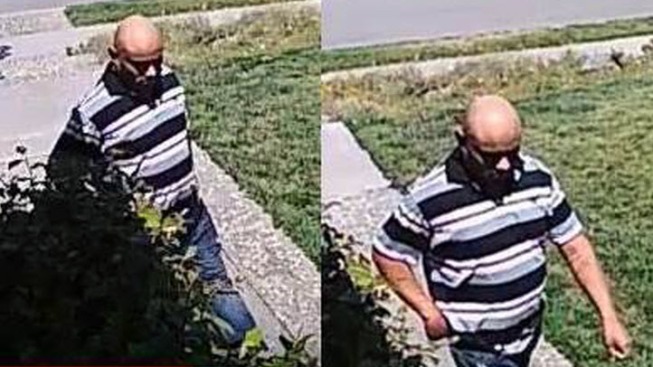 Police released images Tuesday of a man who stole a package from a front porch in Campbell late last month. The theft happened on Aug. 28 around 1:20 p.m. at a residence on Lenor Way, about a block west of Marijane Hamann Park, police said. The man was seen on the home's surveillance system walking up to the front porch where a package was delivered hours earlier and seen leaving with the item, according to police. Anyone with information on the suspect or theft is asked to call the Police Department's investigations unit at (408) 871-5190 or tip line at (408) 871-5191.